Skateboarder Decio Lourenco, known for his speed rides on his board and streep roads, has collaborated with car brand Peugeot for the 208 Peugeot’s spot. 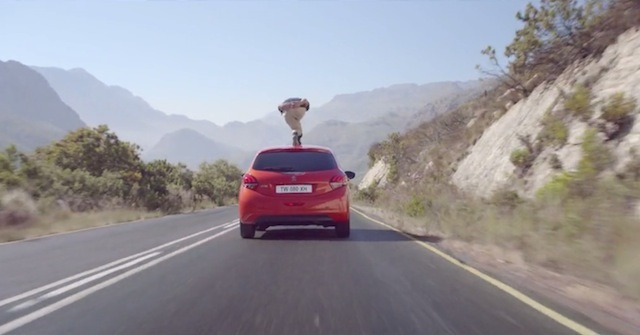 Produced by William Blanc of Cream and directed by John Israel, this video shows the sportsman riding a road on the roof of the car. An ad that plays with extreme sports’ strong sensations, to watch.